The preconstruction meeting for the Islington Street Reconstruction Project is on Thursday, April 25th, at 6:30 p.m. in the Levenson Room at the Portsmouth Public Library. All members of the public are invited to attend. 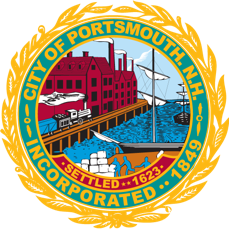 The Walk Friendly Communities program (WFC) has awarded Portsmouth with its Silver Level Walk Friendly accreditation due to the City’s work in prioritizing pedestrians and creating safer, comfortable and inviting places to walk. Other communities recognized this year by WFC include San Francisco, California, who received Platinum Level, and Cedar Rapids, Iowa and Lakeland, Florida, who received Bronze Level. The City will also be celebrating Arbor Day on Friday, April 26th, from 7:30 a.m. to noon at Community Campus.